Are you looking for a mobile launcher for your Android Phone? Have you tried Microsoft Launcher? wait, what? Microsoft Launcher for Android? Yes, although Microsoft has nothing to do with Android. But MS can't ignore the popularity of Android OS. So they developed Android launcher which has a great user interface, it also offers Productivity and some PC integration. In this article, I am going to review Microsoft Launcher. We all know Microsoft is basically for the world of PCs. Although they built Windows Phone, it didn't succeed and finally, they stopped working on Windows in the smartphone. They could not ignore the user base of Android. Almost anyone who has a Windows PC, have an Android. So to provide better productivity and integration of PC with the smartphone they launched first Next Lock Screen and then Microsoft Launcher (Formerly known as Arrow Launcher). You can read about the journey from Next Lock Screen to Microsoft Launcher on the official Microsoft Blog. The home screen of the launcher is almost the same as of other ordinary launchers. But it is well designed at every pixel. It is not cluttered by lots of widgets, it is simple but beautiful. 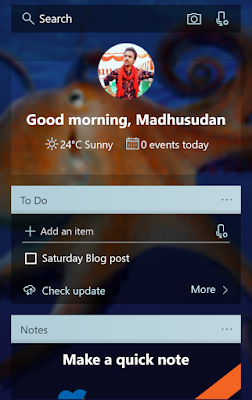 Along with widget provided by other apps, Microsoft Launcher has its own widgets for different tasks, eg. wallpaper changer, search, Cortana voice assist. etc. 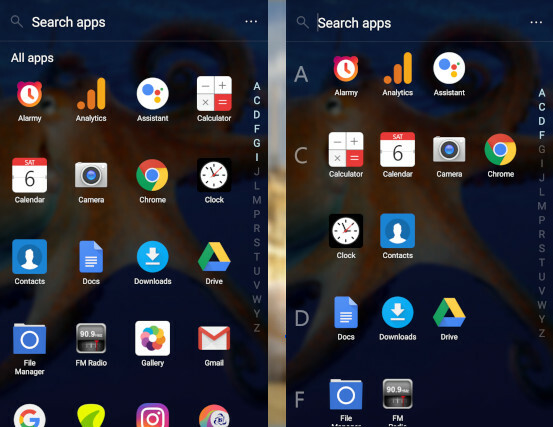 This launcher supports gestures to perform any task easily, like, double tap to lock, swipe up for the app drawer, swipe down for search and many more. You can set any task to any gesture available there. Daily wallpaper update gives a new look to your phone every day. One interesting and eye-catching feature is the expendable dock. 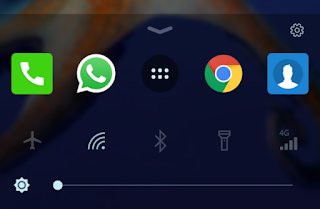 When you swipe up through the dock, it expands as shown in the image above. Most common tools used in a smartphone can be accessed here. You can also add more apps in the dock which will appear only when you expand the dock. If you don't want dock here, then there is an option to hide the dock. You can open feed by swiping right from the home screen. Feed has many functions so I covered it in a separate sub-topic. You can import home screen from your previous launcher and can back up the current one. You can sign in with your Microsoft account in this Launcher to integrate it with your Windows PC. 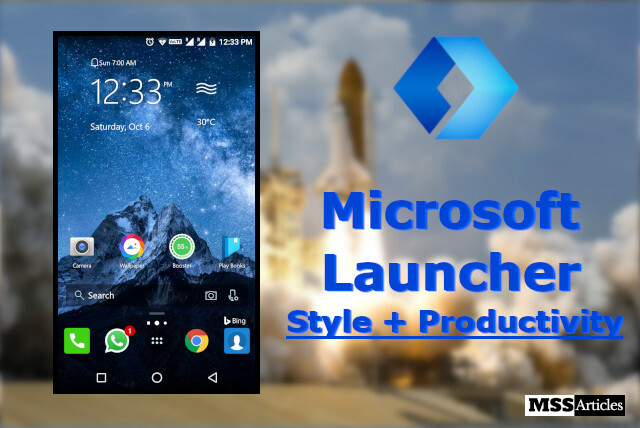 Microsoft Launcher comes with a stylish feed which enhances your productivity. The Feed in Microsoft Launcher is one of the best features which distinguish it from other launchers. This is the most productive feed I have found ever in any launcher. If you have signed in with your Microsoft account, then this feed will greet you according to the time. It will update you with the weather condition and your events for today. There are some cards available for the feed, like News, To Do List, Notes, People(contact) etc. Which you can set as per your choice. The most useful cards I found here are the To Do List and Notes. You don't have to install any 3rd party app to do the same. These both work well in this Launcher. 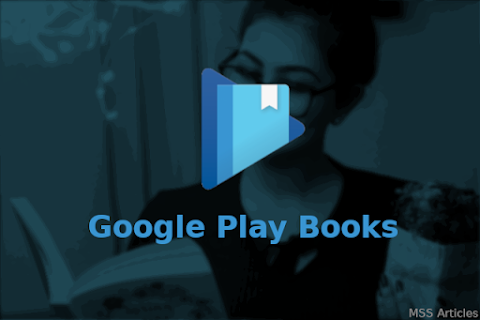 You can also synchronize these with your PC and to an online account of Wonderlist. It is not mandatory to log in with these accounts. You can use them without signing in. Along with these, some more cards are Family, Calander, News, Cortana, Recent Activities, Frequently Used Apps, People, and Documents. It also supports widgets in the feed. The app drawer in Microsoft Launcher looks quite beautiful with blurred and darken wallpaper. It has three display layout: Vertical, Horizontal, and Vertical grouped by alphabets. It has a search bar at the top. And has features like "show recent apps" and "top apps" at the top. You can hide apps in Microsoft Launcher. After hiding apps it asks to whether show these apps in search or not, set accordingly. The icon set in the above image is Microsoft Launcher's icon. You can also set default icons to show and can download icon pack to use with this launcher. And you can even set your icon to any app. It also supports notification badges for the apps. Which works fine. When we hide an app in this launcher, then there is no option to launch them with any secret code or gesture, the only way I found is to unhide the app first. Rest all features are working properly in this launcher. Download: Microsoft Launcher from Play Store. My rating for Microsoft Launcher is 5/5. Microsoft Launcher is the best all in one launcher for your Android phones. It is the best fit for Style and Productivity together. The minus point of this launcher is much minor than its plus points so we can ignore that. New updates are also coming for this launcher. Want to add something, comment below. If you find this article useful, please give a Thumb's Up below.